» Uncategorized » Save your back for $50 or less! Comments Off on Save your back for $50 or less! Save your back for $50 or less! Here is something I thought I would go ahead and share even though it is slightly off topic. 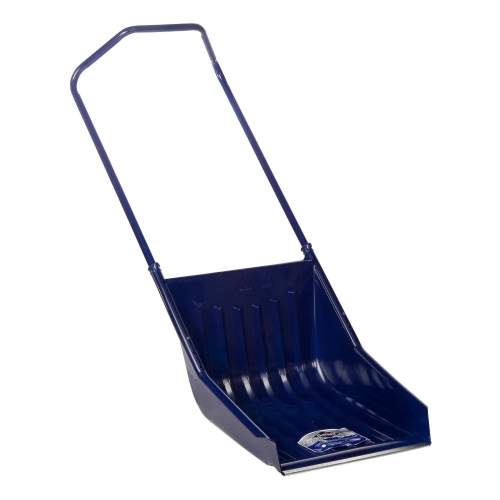 These snow sleigh type of shovels are “hands down amazing”. They basically eliminate any lifting type movement and really just push the snow very similar to a snow plow. The best part of all is that they are only $50 at Krogers Ace and Basin Co-op here in Durango. And another huge benefit is they save tons of time on shoveling. I personally have a fairly large area to clear so this thing is a life saver. And back to the topic of helping your back. Remember to lift with your legs. This means consciously look straight ahead, keep torso and spine verticle and bend at the hips, then use your glutes and quads to do the lifting. This basic info applies to all lifting, not just the moving the white stuff falling from the sky! I know this is pretty simple advise but it never hurts to take a friendly reminder.